True or False: There are a number of risk factors for sleep apnea. True or False: Symptoms of OSA include chronic snoring. True or False: Without treatment, you could develop serious health complications. True or False: Dr. Ganjoor offers treatment options. True. Patients over the age of 50, who are overweight, who smoke, or who have a family history of sleep disorders may be at risk. Additional risk factors include a narrowed airway, nasal congestion, neck size, and excessive alcohol consumption. True. Along with snoring, patients may feel irritable, have trouble focusing, and experience frequent daytime drowsiness. If you wake up gasping for air or choking, this could be another warning sign. True. If any of the above symptoms sound familiar, please see your dentist right away for a diagnosis and to discuss treatment options. Otherwise, no treatment could lead to depression, high blood pressure, and an increased risk of stroke or heart attack. True. At Celina Family Dentistry, we can treat this serious problem with a comfortable and minimally invasive option. 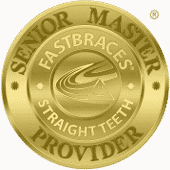 An oral appliance functions like a mouthguard, but is much more complex. When patients wear them during sleep, the appliance repositions the jaw to keep airways open. 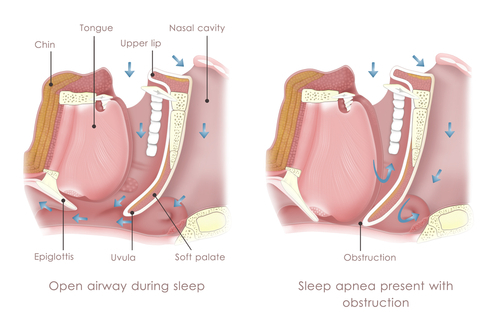 Sleep apnea occurs when the soft tissues in the back of the mouth block airflow, causing the patient to stop breathing. The patient is then woken up briefly and resumes breathing. This can happen hundreds of times every night with treatment. To learn more about how our treatment options can help you achieve the healthy, beautiful smile you’ve always wanted, schedule an appointment with Dr. Angela Ganjoor at Celina Family Dentistry by calling (214) 851-0130. Located in the 75009 area, we serve patients of all ages from Celina, Prosper, McKinney, Frisco, Anna, Pilot Point, and the surrounding areas.